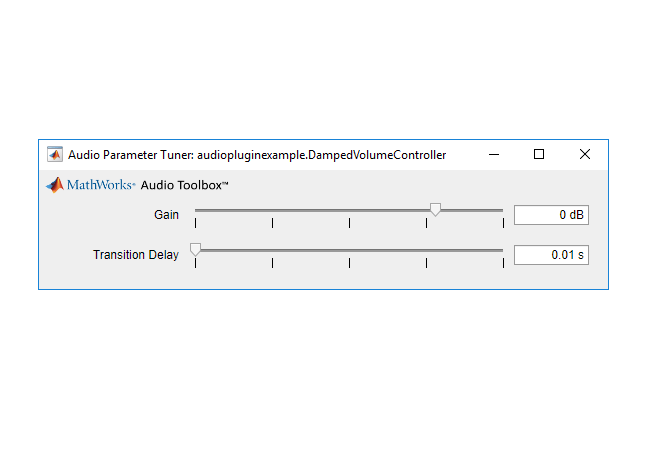 Use these Audio Toolbox™ plugin examples as building blocks in larger systems, as models for design patterns, or as benchmarks for comparison. Search the plugin descriptions to find an example that meets your needs. Description: Adds an audio chorus effect. The chorus effect is implemented by modulating two delay lines. Description: Implements an audio echo effect using two delay lines. The plugin user tunes the delay taps in seconds, the gain of the delay taps, and the output dry/wet mix. Description: Implements an audio flanging effect using a modulated delay line. The plugin user tunes the delay tap in seconds, the amplitude and frequency of the delay line modulation, and the output dry/wet mix. Description: Implements a low frequency oscillator (LFO) controlled lowpass filter. The LFO controls the cutoff frequency of the lowpass filter. The plugin user tunes the type of control signal, and its frequency, amplitude, and DC offset. 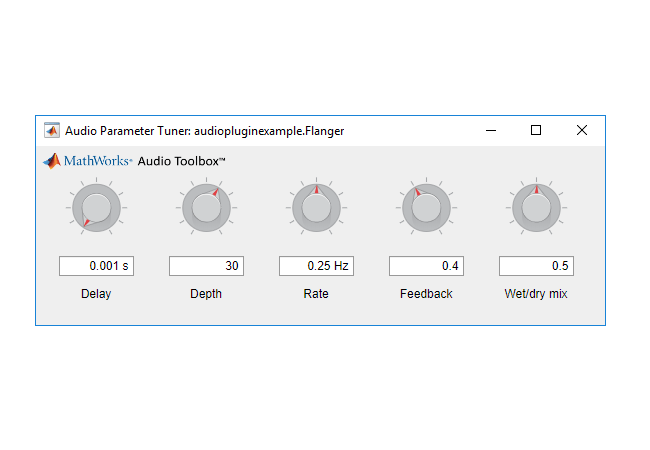 The plugin user also tunes the Q factor of the lowpass filter. Description: Implements an audio phaser effect. Description: Implements a pitch-shifting algorithm using cross-fading between two channels with time-varying delays and gains. Description: Implements an audio strobing effect. 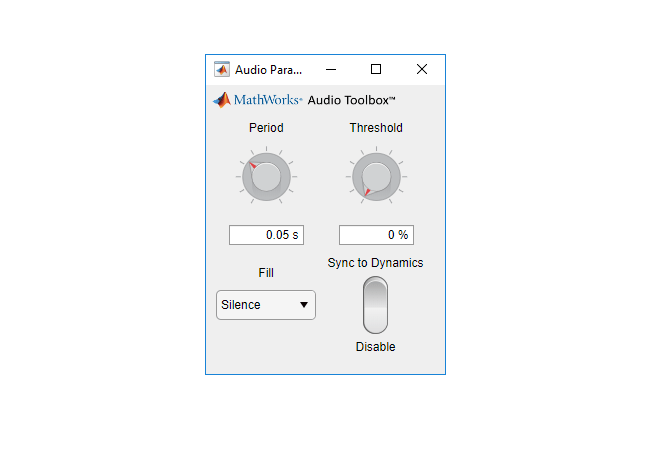 Tunable parameters of the plugin include the strobe period, the strobe fill, a relative level threshold for implementing the effect, and the ability to synchronize the strobe period with the audio signal dynamics. 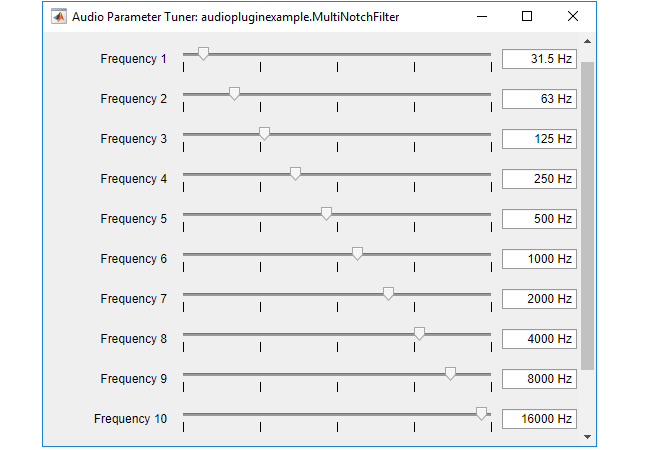 Description: Implements a bandpass filter using a second-order IIR filter. 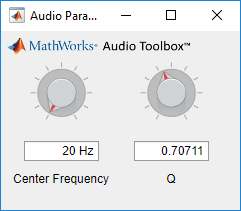 The plugin parameters are the center frequency and Q-factor. Description: Convolves input with long impulse responses without adding long latency. Time-domain convolution of an input frame with a long impulse response adds latency equal to the length of the impulse response. The algorithm in this plugin uses frequency-domain partitioned convolution to reduce the latency. Being efficient, this algorithm also allows for real-time convolution with larger impulse responses. Description: Implements a highpass filter using a second-order IIR filter. 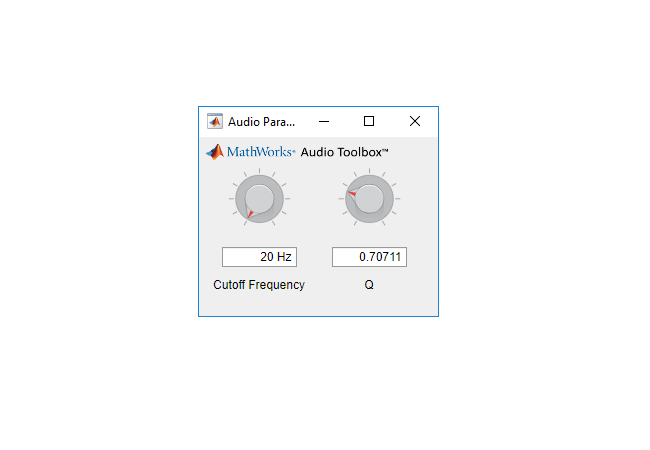 The plugin parameters are the cutoff frequency and Q-factor. 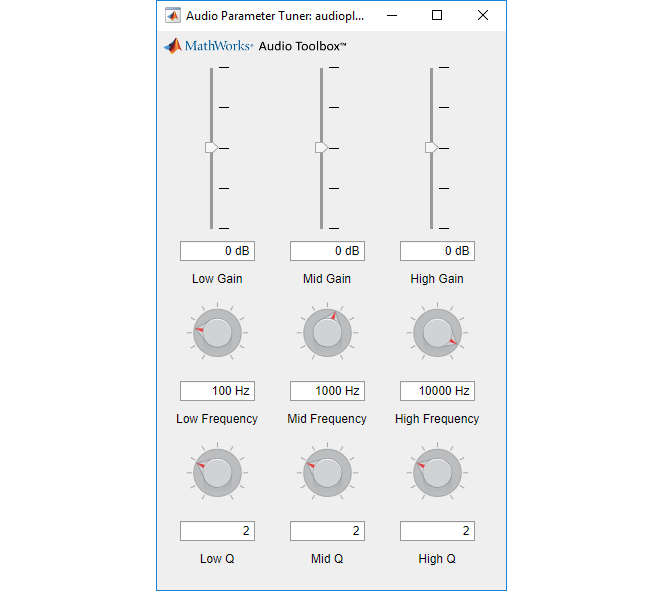 Description: Implements a lowpass filter using a second-order IIR filter. 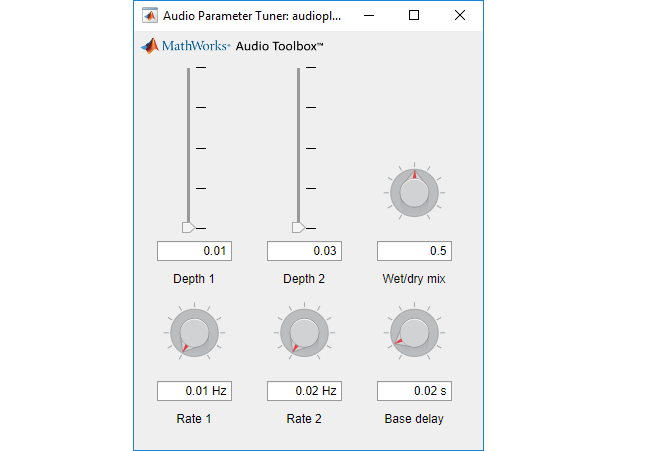 The plugin parameters are the cutoff frequency and Q-factor. Description: Implements a notching IIR filter with tunable notch frequencies and quality factor. Description: Implements a shelving equalizer with tunable cutoffs, gains, and slopes. 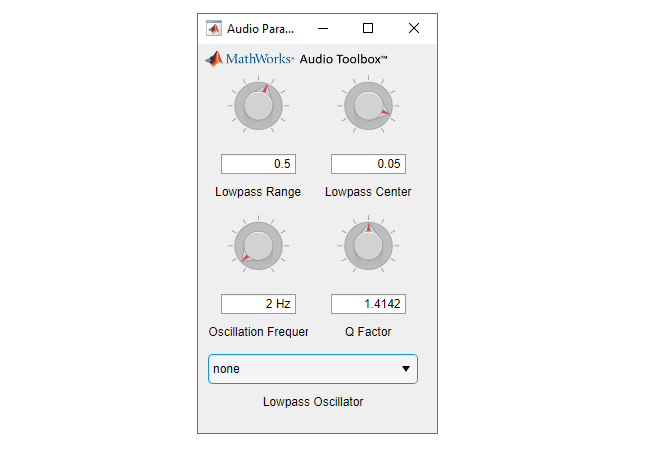 Description: Implements a variable slope IIR bandpass filter with tunable cutoff frequencies and slopes. Description: Implements a psychoacoustic bass enhancement algorithm. 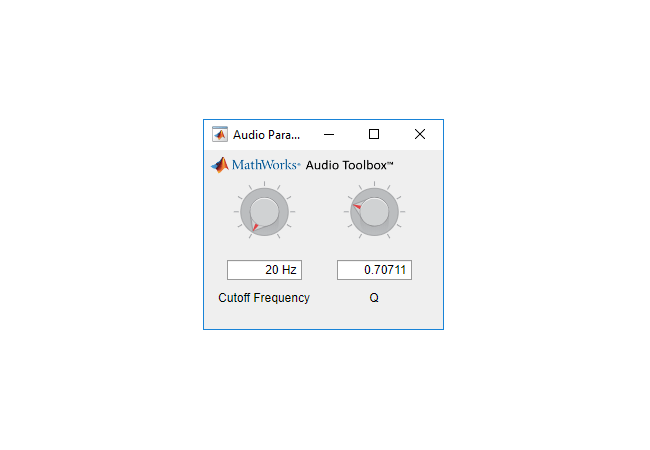 The plugin parameters are the upper cutoff frequency of the bandpass filter and the gain applied at the output of the bandpass filter. Description: Damps the volume control of an audio signal. 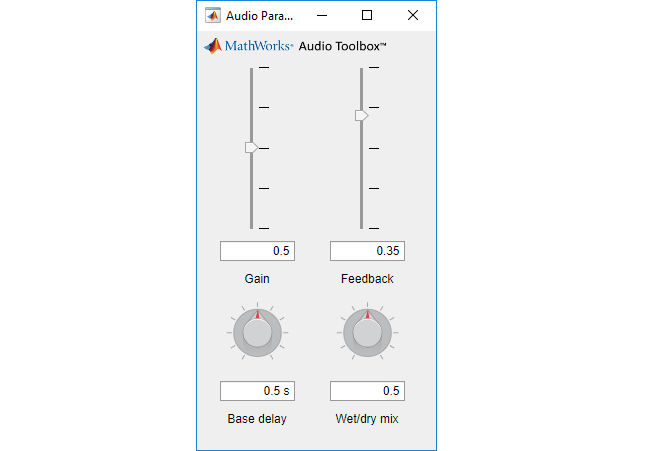 The plugin has two parameters: the gain that is applied to the input audio signal, and the transition delay for gain application in seconds. Description: Specify the microphone locations by tuning the azimuth and elevation. Encode streaming audio into ambisonics using the process function. Description: Specify desired virtual speaker locations by tuning the azimuth and elevation. Decode ambisonic-encoded audio using the process function. 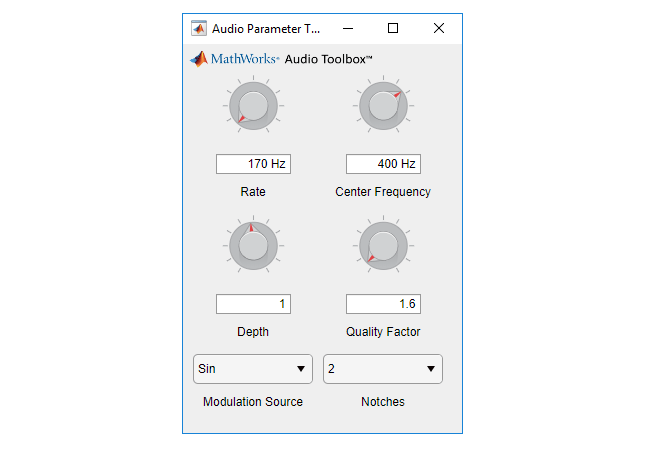 Description: Implements a three-band parametric equalizer with tunable center frequencies, Q-factors, and gains. 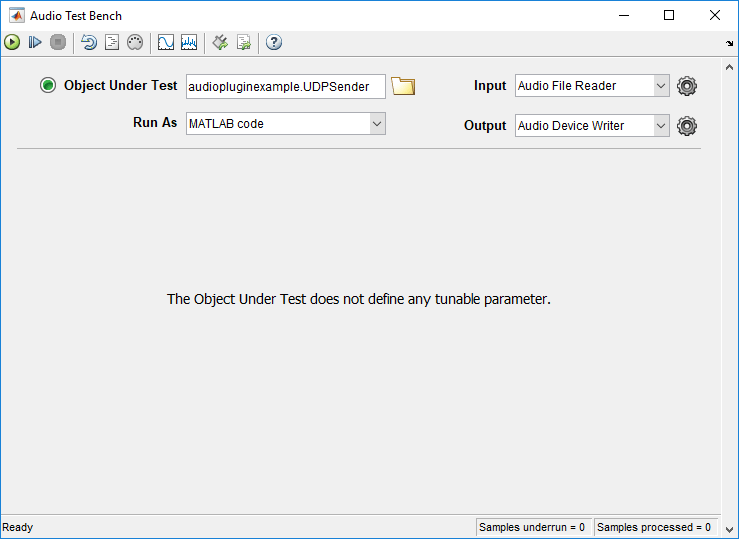 A UDP sender enables the generated VST plugin to communicate with MATLAB. 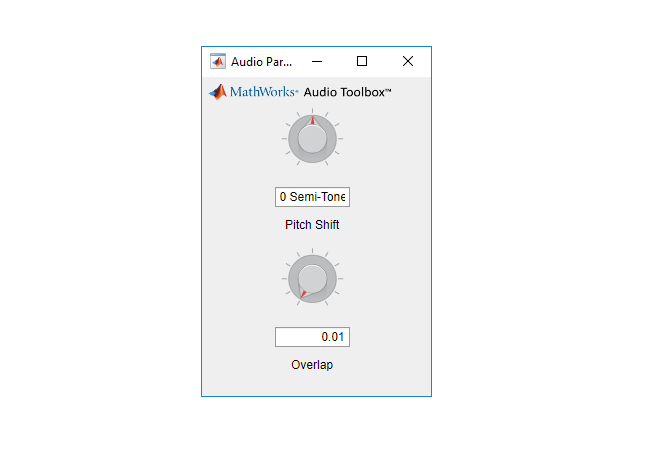 The digital audio workstation and MATLAB can then exchange information in real time. This plugin uses UDP to send the equalizer filter coefficients back to MATLAB for visualization purposes. 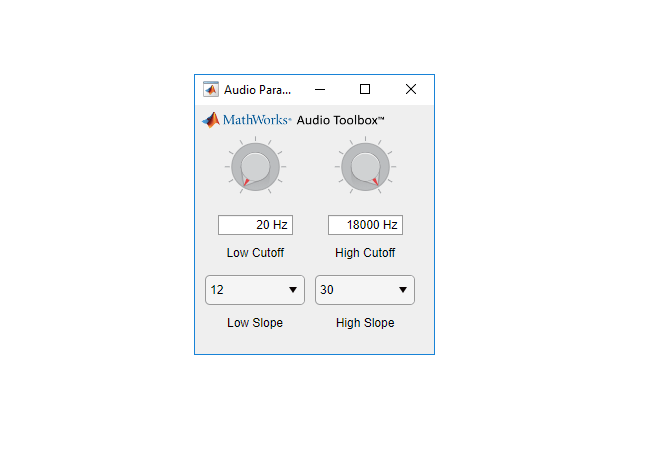 You can alter this plugin to send the input or output audio instead of, or in addition to, the filter coefficients. 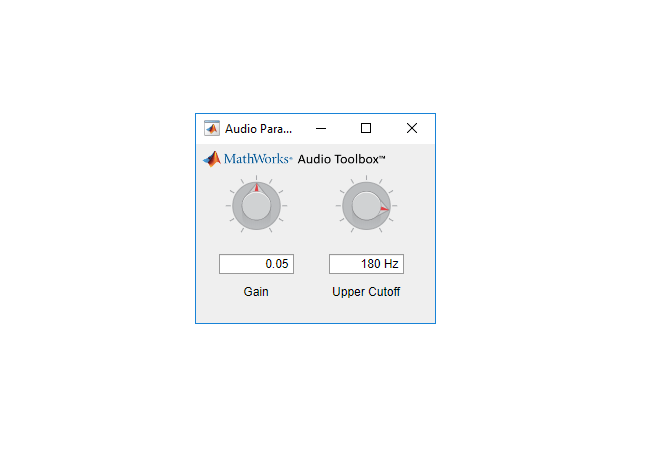 Description: Sends live stereo audio from a digital audio workstation (DAW) to MATLAB using UDP. Description: Estimates and displays a beat per minute (BPM) decision using the specified onset detection method. If you interact with the plugin at the command line, you can get a click track corresponding to the onsets detected using the getClickTrack method. 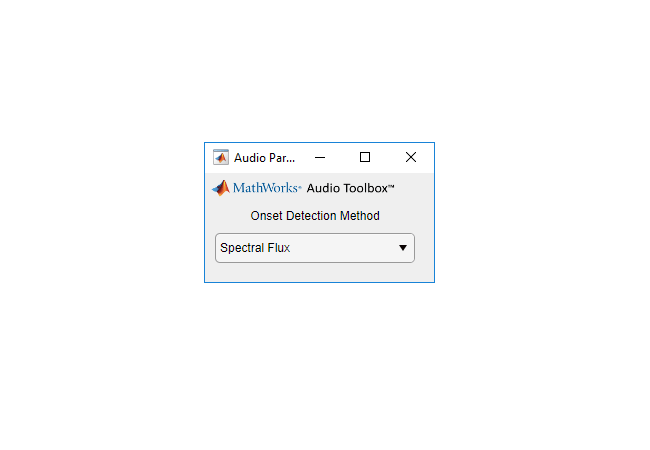 Description: Implements basic spectral subtraction. 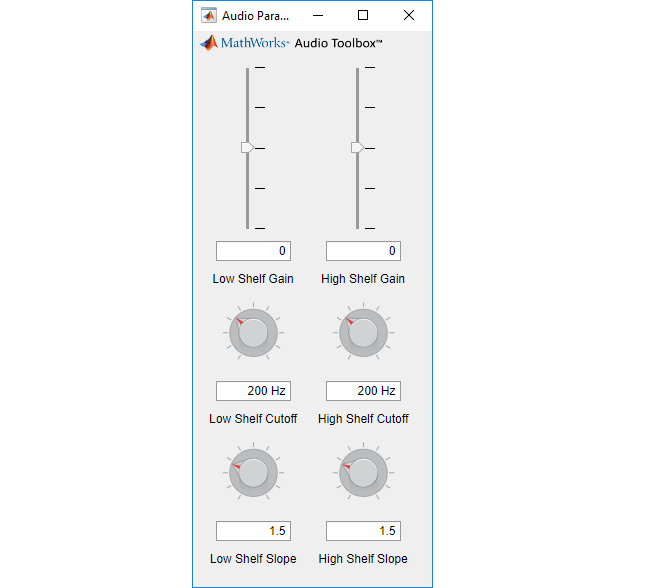 This plugin performs frequency-domain processing. 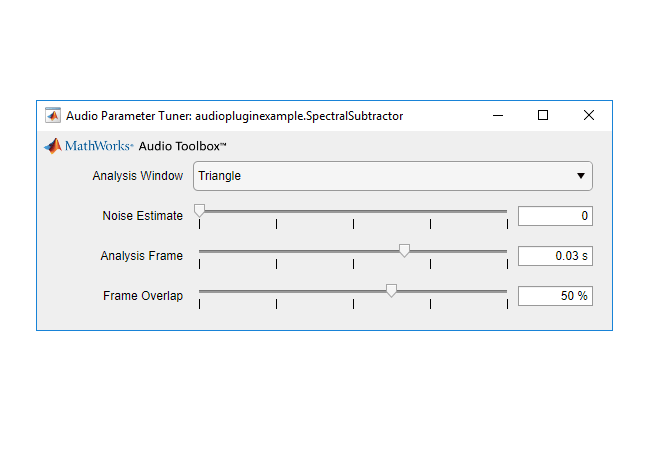 Tunable parameters of the plugin include analysis window type, noise level estimation, analysis window time, and analysis frame overlap. Description: Calculates pitch using a basic autocorrelation algorithm, spectral periodicity algorithm, or both. This plugin is for analysis purposes: It provides a direct feedthrough of the signal. 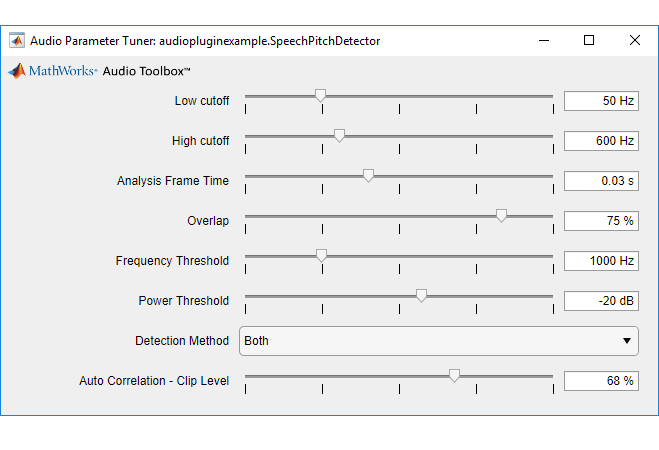 To visualize the pitch decision, use the visualize method while processing speech data.